The newest thing in pizza making from DoughMate®, the leaders in dough handling products!! So many people have discovered that making pizza is fun, the pizza is fantastic and cost effective!! Now, when you make your own hand made dough, you have a container in which to let it proof (rise) with out taking up your entire refrigerator. 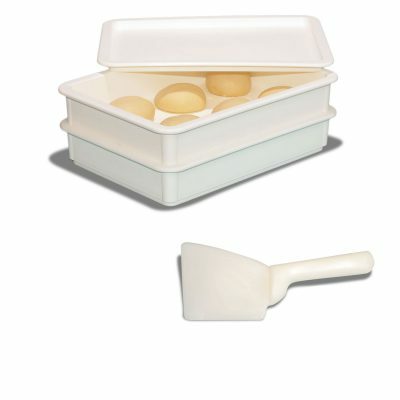 The DoughMate® Artisan Dough Tray is the perfect size for a batch of dough making 8 to 10 7 ½ oz to 10 oz. Dough Balls. They fit air tight to keep your dough for long periods of time allowing a full fermentation which produces better dough, making really great pizza! The DoughMate® Artisan Dough Tray Kit is designed and manufactured to the same exacting standards of our Standard DoughMate® Dough Tray. Considered the best in the industry. 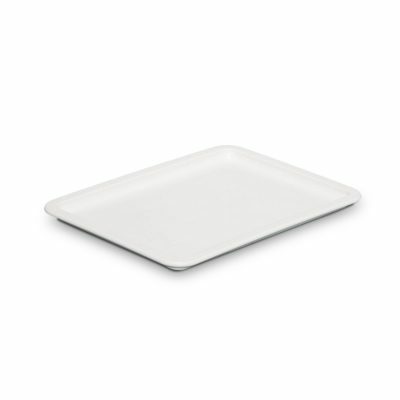 It will withstand the rigors of restaurant duty and is suitable for home use as well! !